2" - 2 oz Ramekin 1.4" H x 2" Top diam. 3" - 3.5 oz Ramekin 1.5" H x 3" Top diam. 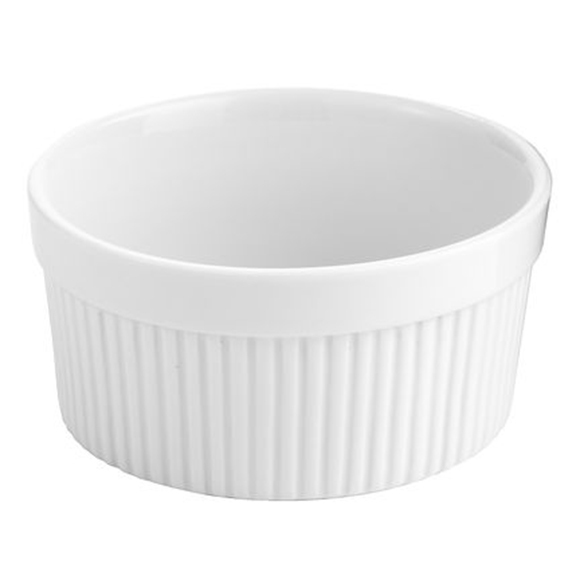 3.5” - 5 oz Ramekin 1.6" H x 3.5" Top diam. 4.5” - 10 oz Ramekin 2" H x 4.5" Top diam. 5” - 12 oz Ramekin 2.25" H x 5" Top diam. 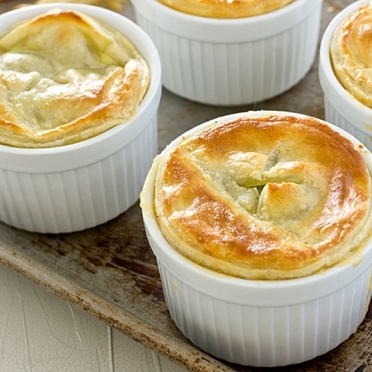 Ramekins are often used to cook and serve individual souffles and other confectionery delights. They are also useful when serving macaroni and cheese or other hot side dishes that are part of your menu. The ribbed sides and white color create a timeless design and will work well for all types of events.